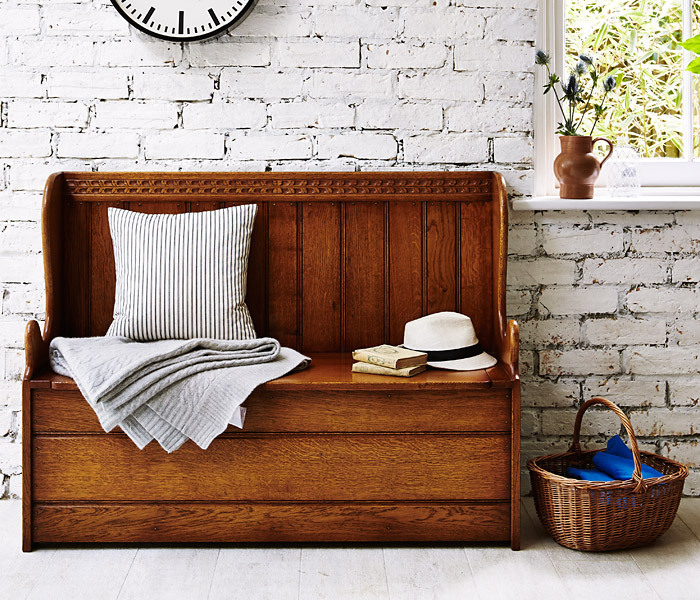 Settle down this Autumn into one of our beautiful rustic English Oak Box Settles, fresh from our workshops at discounted prices. Its style dates from the early 17th Century when settles were used in farmhouses placed near the fireside for warmth. The high back helped keep its occupants toasty too. 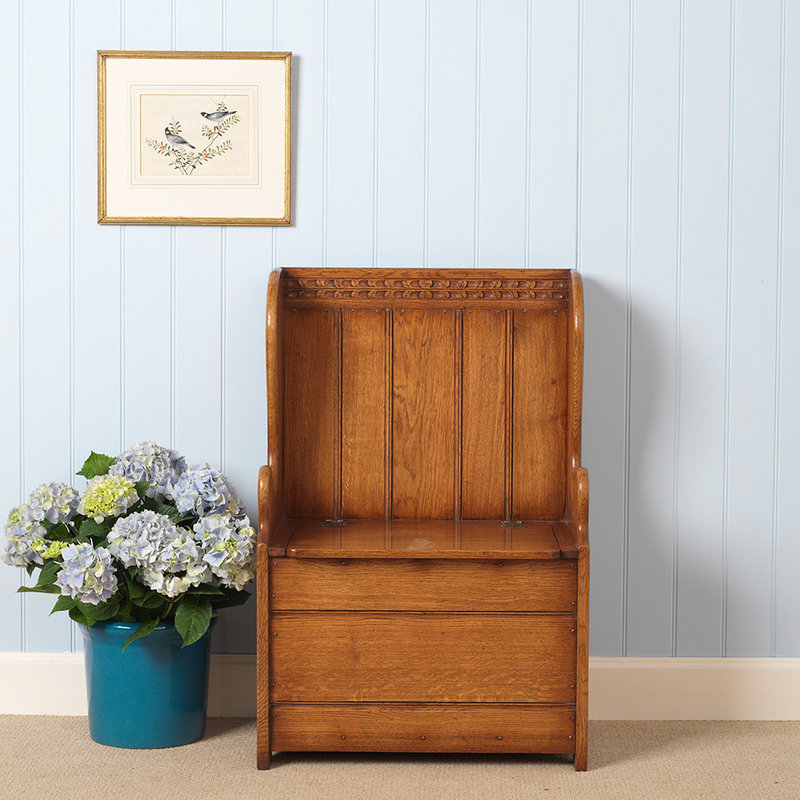 Now, it’s a practical piece for hallways and entrance rooms where you can use it for storing shoes and wellies and then sit on it to change your footwear. 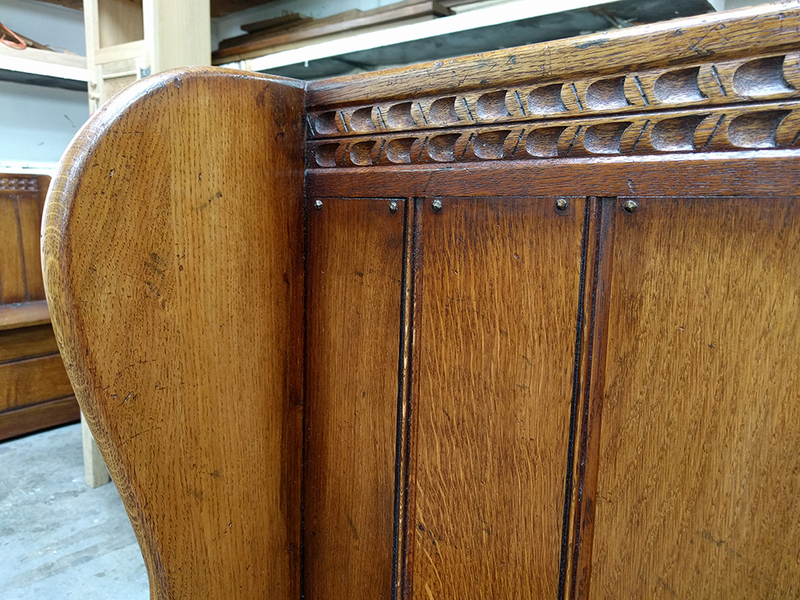 We’ve also done a new design without carving on the top rail. The shaped slab ends conceal a useful storage box with a lift-up lid and the back boasts traditional, characterful rose-head nail decoration. 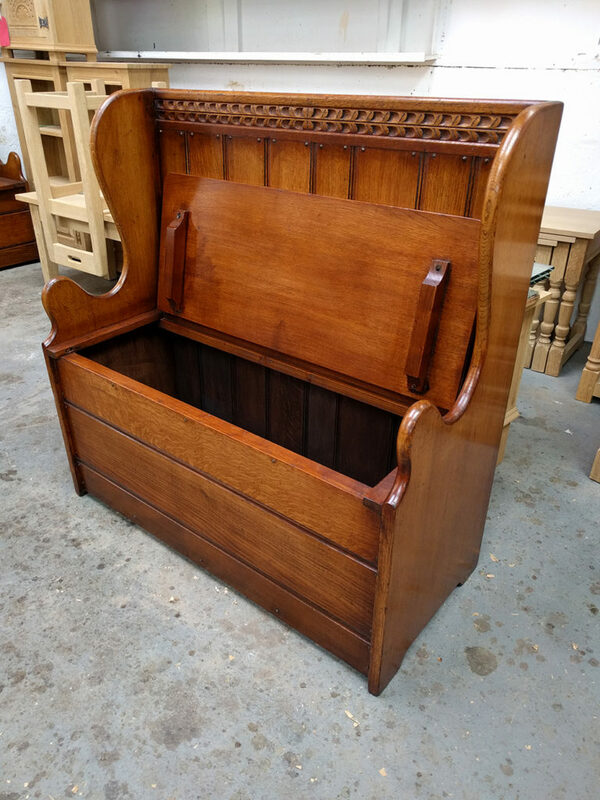 During September we are offering 25% off our full retail prices of all of our settles, monks benches and tavern seats. That means our most popular settle the RL. 66/A (the 3ft/91cm wide one, above) is reduced from £1,530 to £1,148. Our smaller RL.66, the cute 2ft/61cm one below, is now £930 instead of £1,240 and our whopper – the 4ft/122cm wide one RL.66/C is £1,485 instead of £1,980. 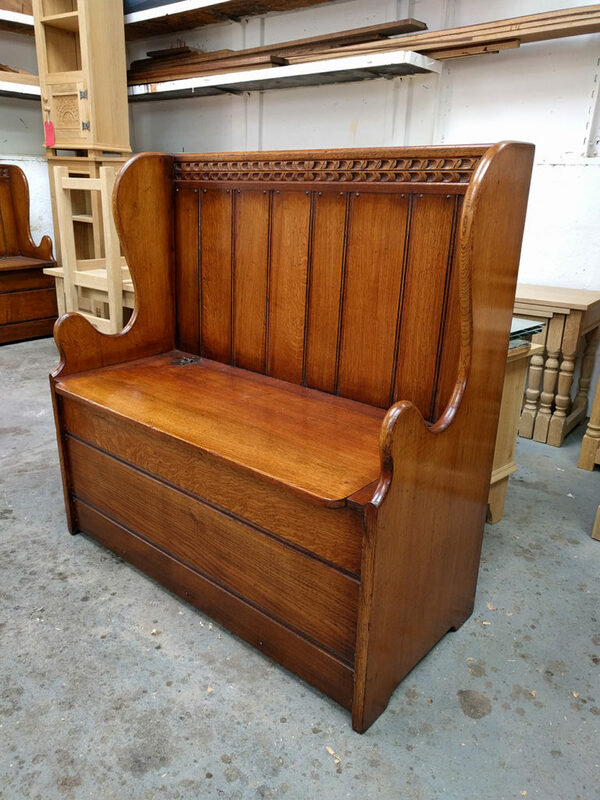 All of our settles are handmade from scratch here at our workshops in Ipswich using English oak and are available in any of our standard colours. 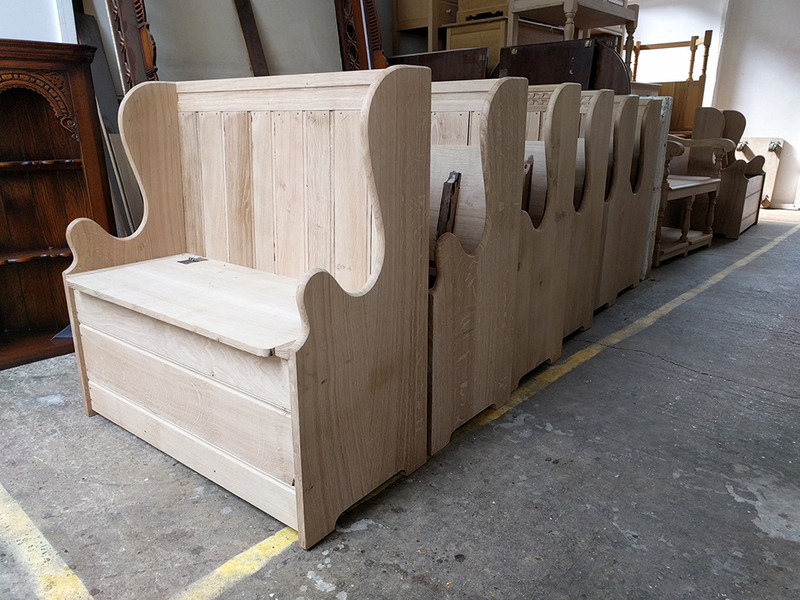 Plus, we’ve made the RL.66/A (3ft/91cm) settles, without the decorative moulding, which means we can offer it at £995. View all of the settles that we make here.